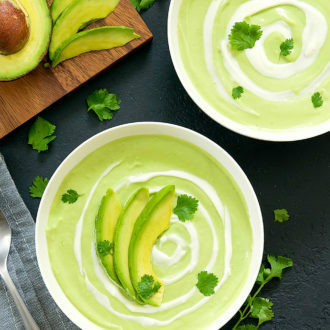 Cream of Avocado Soup is the perfect soup for summer. It’s savory, creamy and comes out a beautiful summery green. 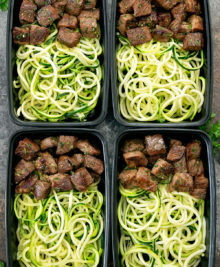 It can be enjoyed hot or room temperature and is ready in less than 30 minutes. There is something so comforting about homemade soup. I love building layers of flavor and tasting as it all comes together. And once it is ready, I always indulge with a big bowl. 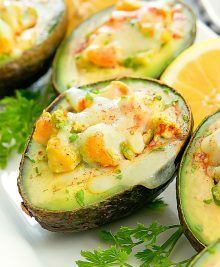 With avocados in season, I have been inspired to make everything avocado. 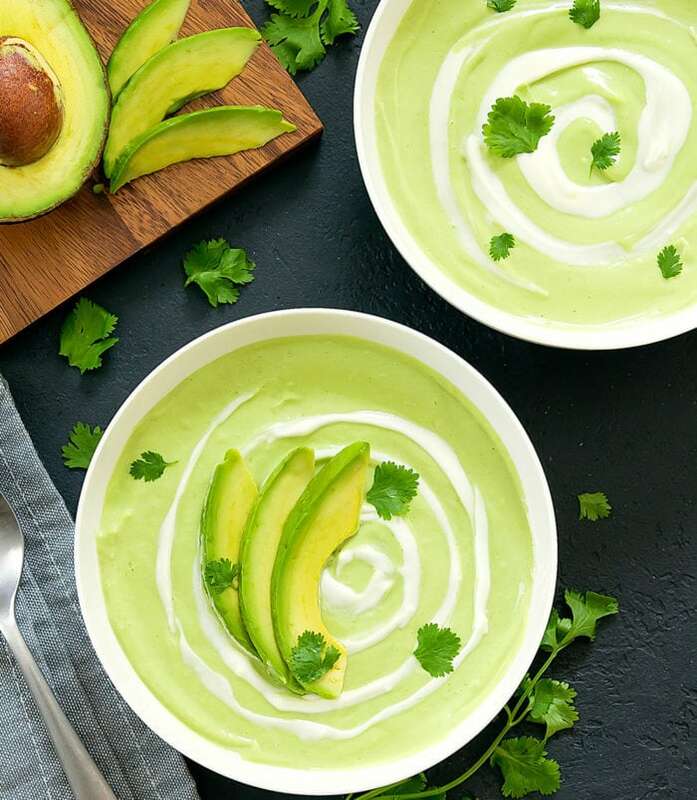 Like this avocado soup. 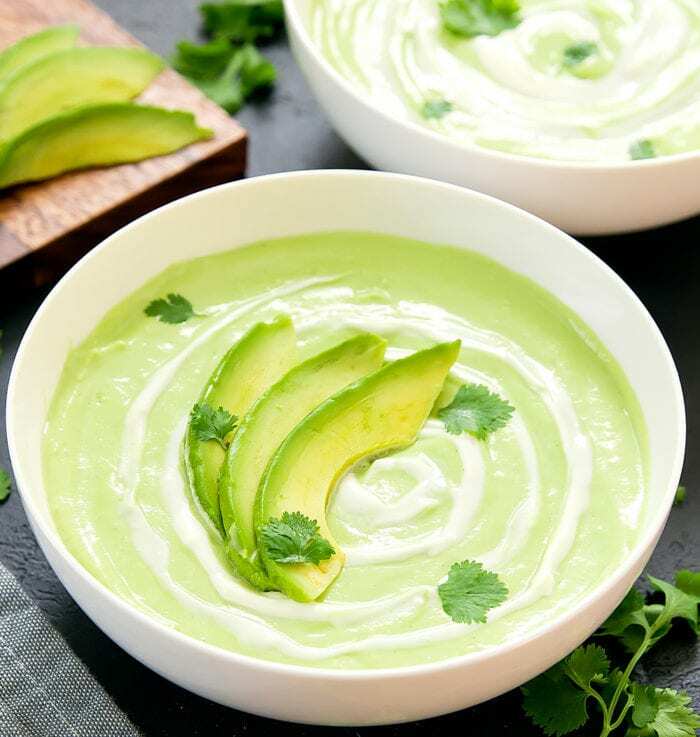 Avocados are already very creamy on their own so you don’t need as much cream as your typical cream soup. You start by cooking everything on the stove. Simmering the avocado in the soup base helps bring out its beautiful green color. 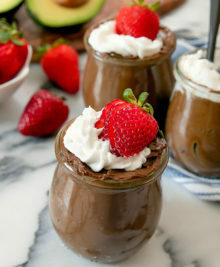 Once everything is cooked, it’s pureed in a food processor or blender with a little cream. And then it’s ready to serve! It’s that easy. I quite enjoyed this soup hot but it tasted good when cooled to room temperature as well. If you are looking for a dairy-free option, you can leave out the cream altogether. The cream does make the soup creamier, but the soup also tastes good without the cream. A creamy, savory summer soup that is ready in less than 30 minutes. 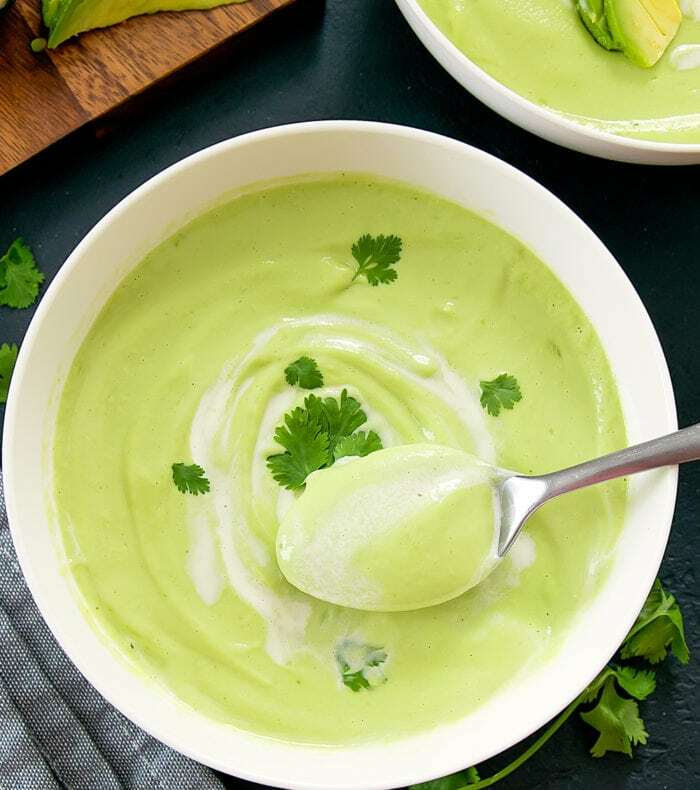 This cream of avocado soup uses much less cream than typical cream soups because avocados are so creamy on their own. Add garlic and onions and ¼ cup of chicken broth to soup pot and bring to medium high heat. Cook garlic and onions until garlic is lightly browned and onions are translucent. Add in remaining chicken broth, avocados, lime juice and cilantro. Bring to a simmer and cook 5-10 minutes, until all the flavors come together. Season with salt and pepper, to taste. Pour soup into blender. Blend until smooth. Add in cream and blend slowly just until cream is incorporated. Serve soup immediately. 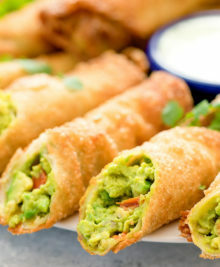 If desired, garnish with fresh slices of avocado, cilantro, and a swirl of sour cream.